Vitamin D has been names the "sunshine vitamin" because it’s produced in your skin in response to sunlight. However, the increasing number of benefits that are found from it make it a sunshine for our health! Support the health of the immune system and fight infectious disease. Improve cognitive brain function and preventing depression, especially in older adults. Aid in type 1 diabetes management. A recent study has shown that Vitamin D3 helps repair endothelial cells in the cardiovascular system. These cells suffer damage after a heart attack and stroke, and from chronic conditions like diabetes and hypertension. 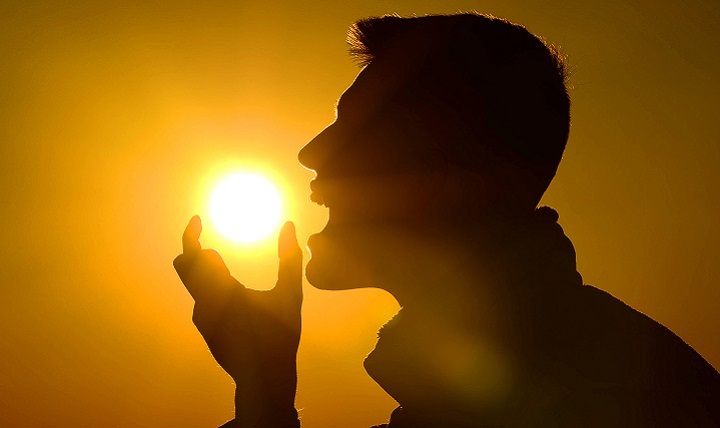 Vitamin D helps prevent the flu and other infectious diseases. Vitamin D supplementation is essential in the winter, due to the lack of sunshine and the excessive covering of our skin to protect us from the cold weather. One of the reasons for an increase in the number of flu and respiratory diseases in the winter is lower Vitamin D3 levels. Vitamin D is a fat-soluble nutrient. It is found naturally in salmon, sardines, shrimp, swordfish, raw maitake mushrooms, and egg yolk. It is also added to dairy products, cereal, and orange juice. It is estimated that sensible sun exposure on bare skin for 5-10 minutes 2-3 times per week allows most people to produce sufficient vitamin D, but vitamin D breaks down quite quickly, meaning that stores can run low, especially in winter. The easiest way to access our need for vitamin D with a blood test. Normal Vitamin D levels are 35 to 40 ng/ml (90-100 nmol/L). Supplementing with Vitamin D, 100 IU (2.5 mcg) of vitamin D per day can raise the vitamin D blood test only 1 ng/ml or just 2.5 nmol/L after 2 to 3 months. For example, 500 IU (12.5 mcg) per day increases vitamin D blood levels 5 ng/ml (12.5 nmol/L). Vitamin D3 supplementation (cholecalciferol) is recommended over D2 supplementation (ergocalciferol), since D3 is used more effectively in the body. The safe upper limit in the United States and Canada is 4,000IU/day. Research suggests that the true safe upper limit is 10,000IU/day. Taking 400 - 2,00IU/day is safe and effective for most people.